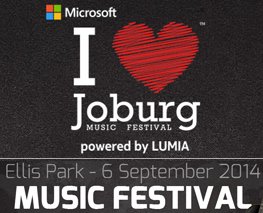 This is the inaugural annual “I heart Joburg” music festival with 12 hours uninterrupted music from a mix of local and international musicians across a variety of genres. In South Africa we love both of them! That is wines, in every form and colour – red, white, pink or with bubbles. 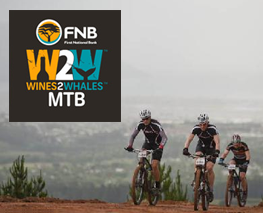 Now put them together with whales that are mostly seen in Hermanus in the Western Cape, South Africa and you have the WINES2WHALES Mountain bike race. 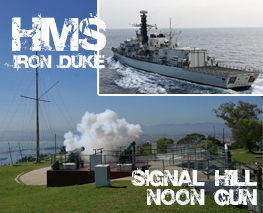 Cape Town is expecting 42 loud bangs through the city centre on Wednesday 20 August… Seems the Webb Ellis Cup is arriving in Town! Made from gilded silver in 1906, the Webb Ellis Cup has travelled the world since its reinvention as the most sought-after possession in Rugby. 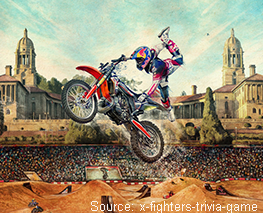 The best FMX riders in the world congregate at the union Buildings in Pretoria – LEGALLY – to rip up and fly in the air to perform stunts, that will amaze every spectator big and small.